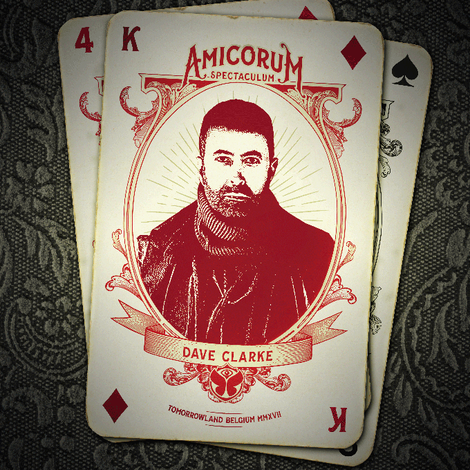 On Sunday 23 July Dave Clarke will once again host the ‘Arch Stage’, which was introduced to the festival last year, continuing to bring his passion for techno to Tomorrowland, and possibly flying the flag for the sounds of the underground. Dave will present a broad range of dance music and this will be the sixth year in a row he has been entrusted with his own stage at Tomorrowland. Joining him behind the decks will be Berlin’s Ben Klock, whose DJ sets are known for being intense and powerful, whilst capturing artistry and emotion. Next up is Len Faki, another Berlin based DJ, producer. Finally, Ken Ishii, is possibly one of the most innovative and experimental artists in the electronic music scene, making his version techno at a time when Japan was not yet at the crossroads where all things techno came together. With Clarke at the helm, this is going to be an electric mix of DJs covering all aspects of the techno genre on one stage with more names to be announced soon. Tomorrowland 2017 will take place at take place in Boom on two consecutive weekends from 21 – 23 July and 28 – 30 July. This year’s theme, 'Amicorum Spectaculum', will make the domain De Schorre enchant you. It literally means gathering friends and artists at unique times and in exceptional settings.